I thought I knew a few things about the Canadian rock bands of my young adulthood years, but Grant Lawrence’s witty Dirty Windshields: the best and the worst of the Smugglers tour diaries opened my now seemingly-narrow-minded eyes to a world beyond The Tragically Hip, 54-40, Spirit of the West, and The Pursuit of Happiness. I suspect most of us have romantic images of what it must be like to be a touring rock musician — the freedom, the adoring fans, the partying, the glamourous cities and famous venues, and of course the money. Grant bursts that bubble nearly completely as he tells the tales of The Smugglers touring struggles that touched three decades, yet conveying a fondness for the lessons learned, life-long friendships made, and stories collected from living wild times at the fringes of the music industry. The Canadiana that Lawrence weaves into his comical story-telling is worth the read alone. A band-versus-thugs car chase in Saskatchewan involving shots fired at high speed, in which the ammunition is stale cranberry muffins instead of bullets?… priceless! Teenage newbie travellers in the USA being intimidated by the thought that every American is armed to the hilt and ready to shoot to kill with an itchy trigger finger?… classic! What struck me the most about Dirty Windshields was the sheer mental determination and physical stamina it took to do what these young musicians did for so long: their physically demanding style of performing; the DIY-style of travelling thousands of miles in shoddy tour vans without any local assistance at all; and the hustle required to book gigs and scrape together enough money to keep tours going. Just the thought of the energy required for the day-in and day-out life of an indie musician exhausted me. And what entertained me the most about Lawrence and his band was their creativity. 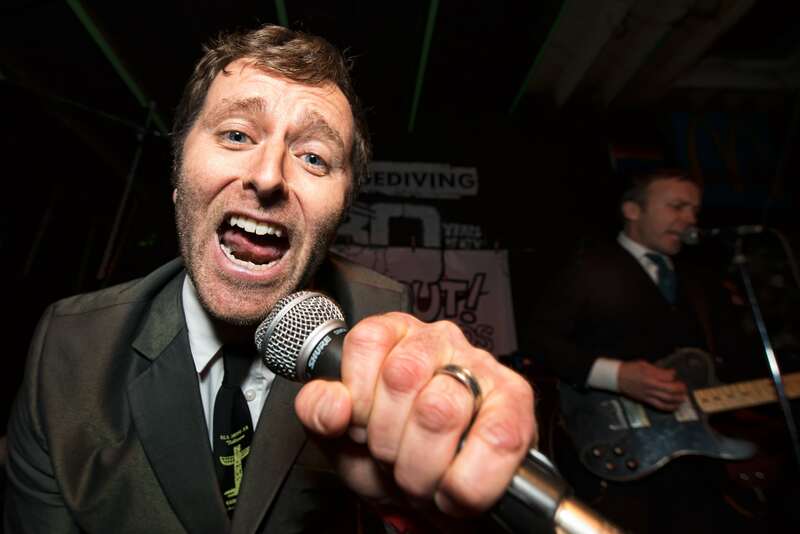 Audience engagement tactics like kissing contests that involved band members being selected to neck with winning fans, often resulting in the musicians coming down with nasty bugs afterwards, were both brilliant and foolhardy. As were performing on stage in rubber boots and turtlenecks in the heat of summer tours! Do be prepared for liberal amounts of phallus-based humour that at times comes off as a bit crude, yet such is the life of a young all-male rock band; and, if you are not an indie rock and roll fan, you should be prepared to do some internet surfing to help you keep up with the history of the bands highlighted by the tales. Grant Lawrence takes us on a humourous, fascinating, insider-look into the challenges of living out the dream of becoming a touring musician. 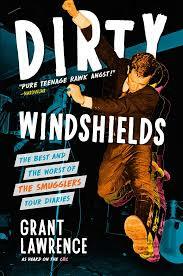 Dirty Windshields reads just like the Smugglers lived and played — boisterous, edgy, sweaty, and self-deprecatingly entertaining. Paul Shore is a writer and technology marketing consultant living in Whistler, BC.